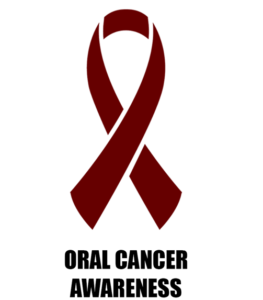 James River Family Dentistry Wants You To Be Oral Cancer Aware! April is designated as Oral Cancer Awareness Month. This year, more than 49,000 Americans will be diagnosed with oral cancer. One person dies from oral cancer every hour of every day. The good news is that if detected early, oral cancers have an 80-90 percent survival rate. In order to help raise awareness and save lives, Dr. Guthrie of James River Family Dentistry is committed to providing oral cancer screenings to her patients. During your regular check-ups we feel for lumps or irregular tissue changes in your neck, head, cheeks, and oral cavity and thoroughly examine the soft tissues in your mouth, specifically looking for any sores or discolored tissues. We will also ask questions about your general health and lifestyle habits so that we can advise you how those habits may affect your oral health. In addition to the health benefits for for earlier detection and intervention, early detection and treatment have been shown to provide at least a 36% in costs savings versus detection and treatment of a later staged oral cancer. Anyone can develop oral cancer with the incidence of oral cancer increasing after age 40. People who use tobacco have a higher risk of oral cancer, and combining alcohol with tobacco greatly increases the risk. Also, young people that have a history of Human Papilloma Virus have been found to have an increased risk of contracting oral cancer. Early detection and education are key factors in preventing and treating oral cancers. The current death rate of oral cancer is so high because the majority of cases are discovered in a late or advanced state. If you have any concerns about your risk factors or are showing symptoms, do not hesitate to see your dentist for a screening. One of the most effective ways to protect your health is to be aware of the risk factors and visit a dentist for oral cancer screenings. Early detection saves lives, so ask our team about a screening at your next appointment! James River Family Dentistry is committed to providing you oral care that encompasses more than just your teeth. Contact us at (804) 323-4200 for a screening appointment today! James River Family Dentistry2018-04-18T09:55:58-04:00April 1st, 2018|Blog|Comments Off on James River Family Dentistry Wants You To Be Oral Cancer Aware!